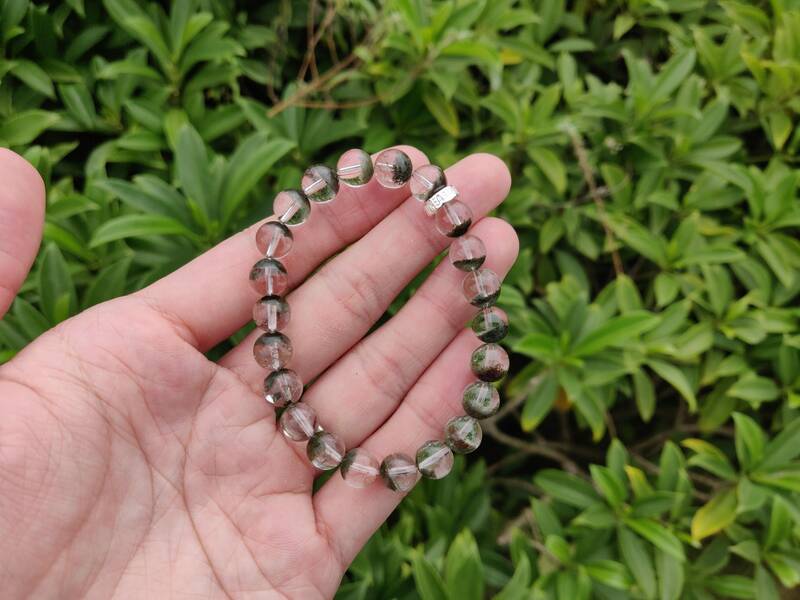 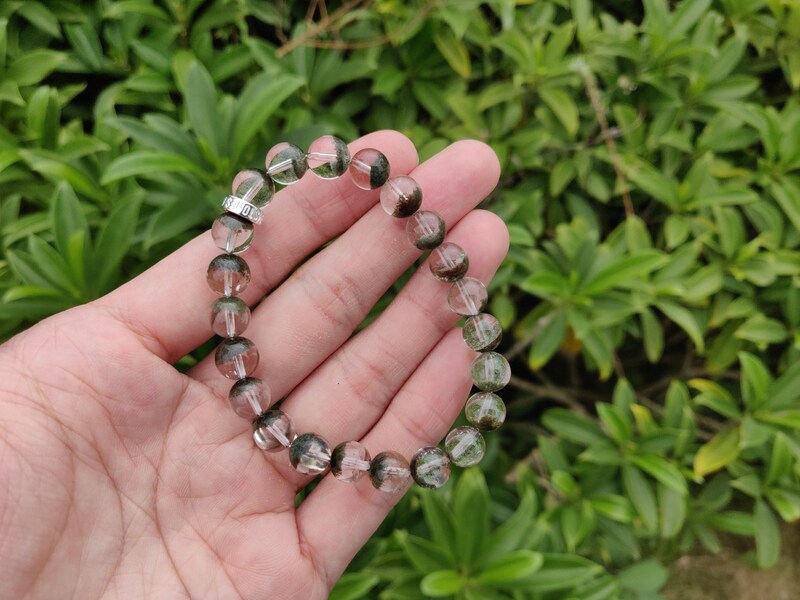 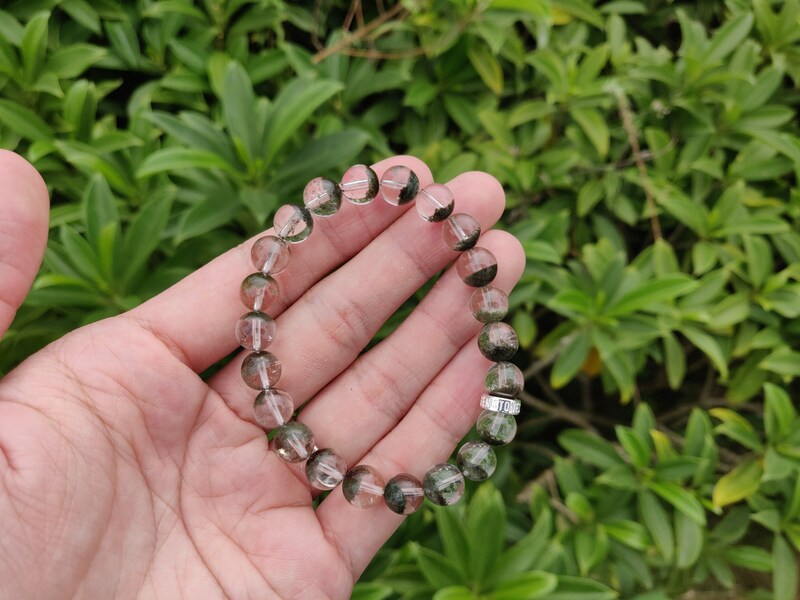 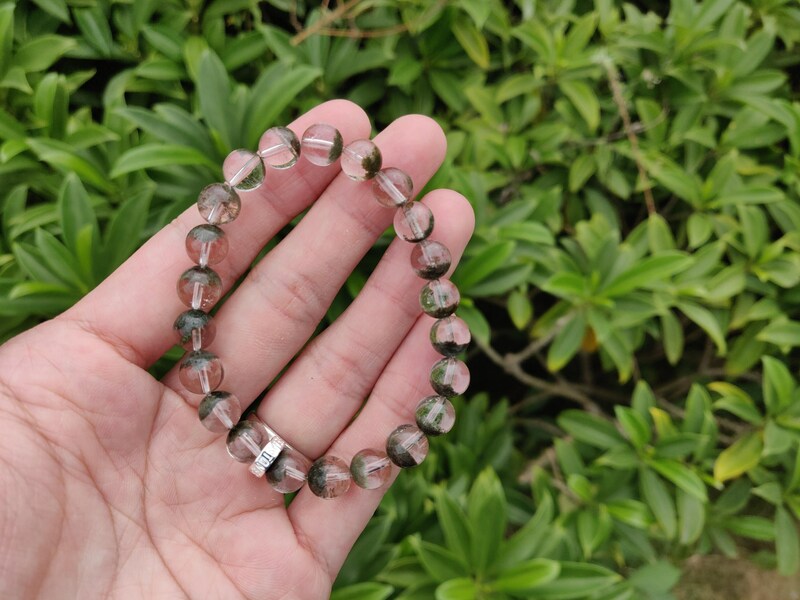 This bracelet is made with natural and genuine phantom quartz. 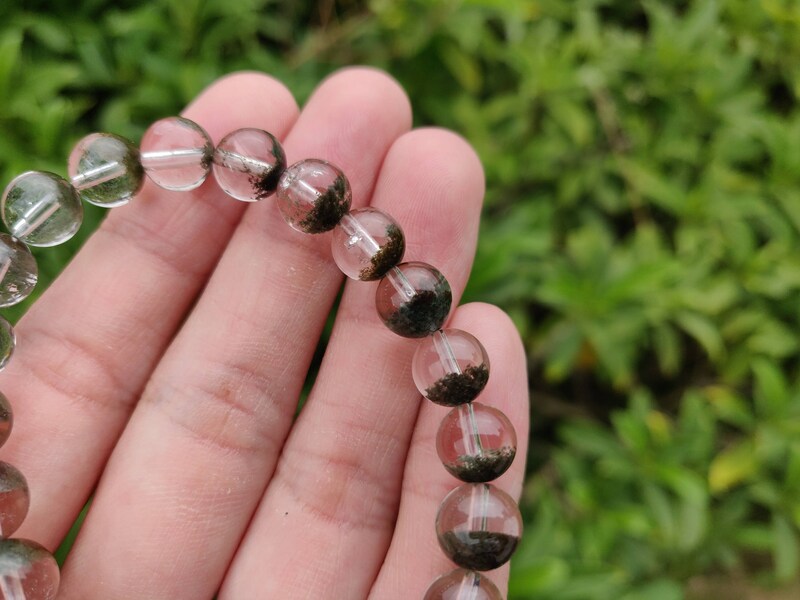 The beads are carefully picked and cut so that the phantom inclusions are on one side. 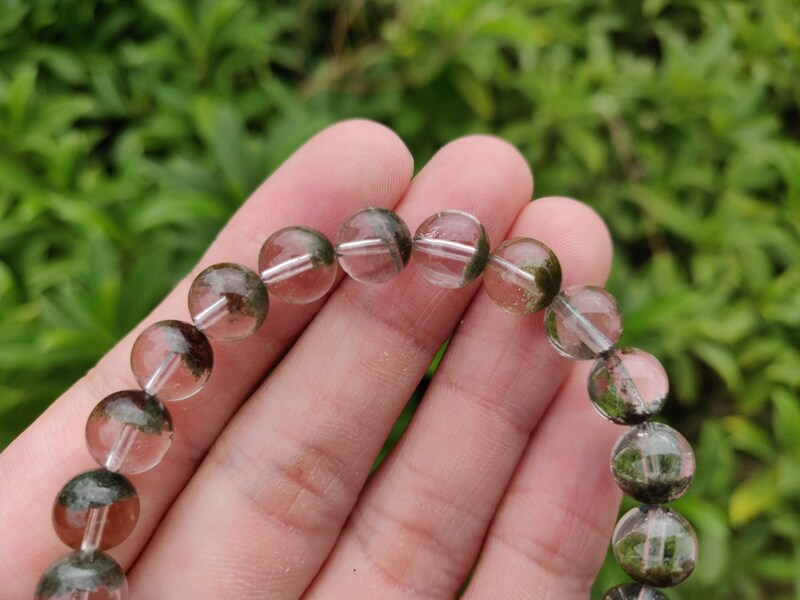 The phantom is mostly green with some minor brown color. 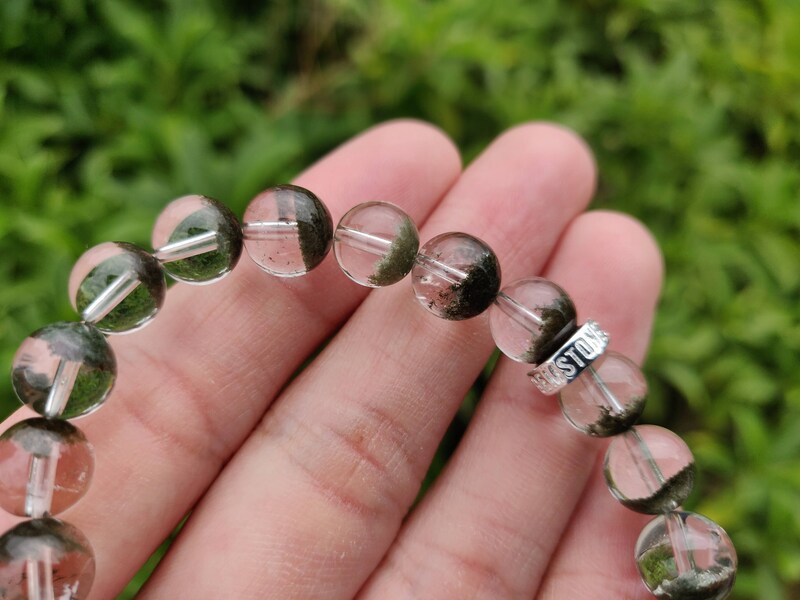 And the crystals are very clear. 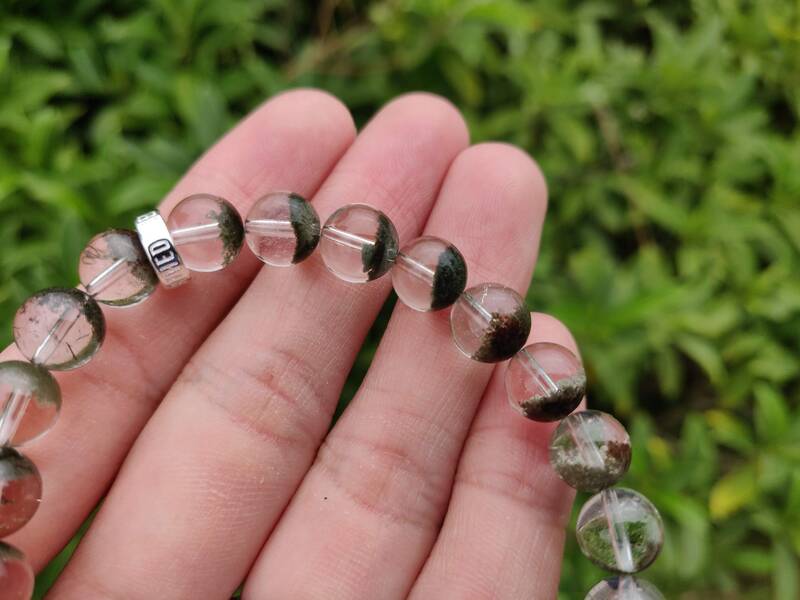 This phantom quartz would be AAA quality if the separation between phantom and clear quartz is even clearer.